Zynga is preparing to send September out with a bang in FarmVille, as the developer has launched a massive double mastery event on our farms. From now until October 1 at 12PM Pacific, players can earn double the mastery points on every tree, crop and animal harvested. 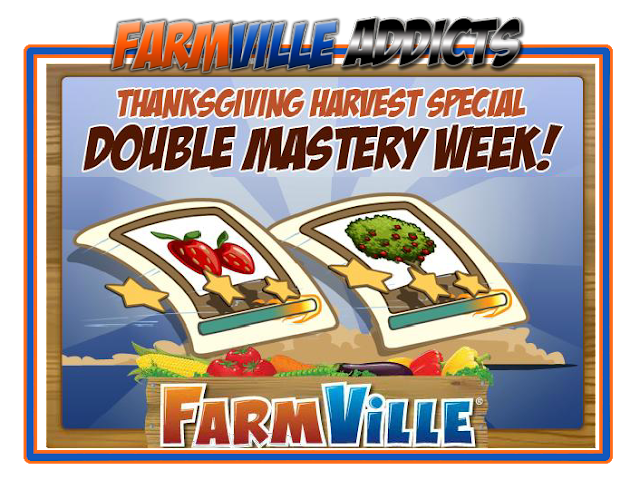 This is an especially exciting event, as most double mastery events exclude animals and just allow for double the points to be earned on crops and trees. Now, though, players are being given the chance to master an insane amount of items, in one the longest double mastery events this farmer can ever remember being activated. Remember, if you've already purchased any sort of double mastery statue, that gives you these boosts permanently on one or more farms, these events typically don't stack, so it will be as though the event isn't even happening in your own game. For the rest of us, however, this is definitely an exciting time to be a virtual farmer.